Tonight, WW2 Treasure Hunters uncovers the truth behind the untold story of The Liverpool Blitz. 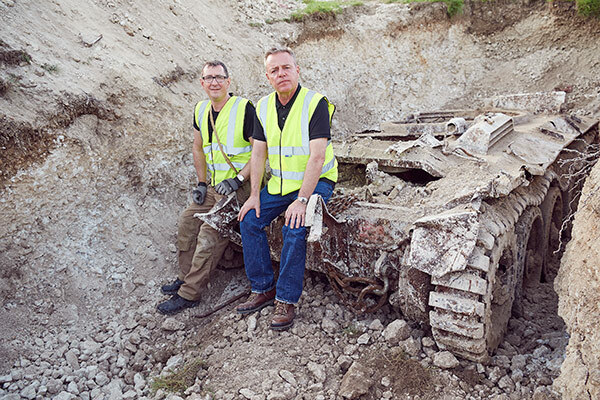 HISTORY series WW2 Treasure Hunters sees detectorist Steven Taylor pair up with Madness frontman Suggs to unearth historical artefacts from former military sites across the UK. 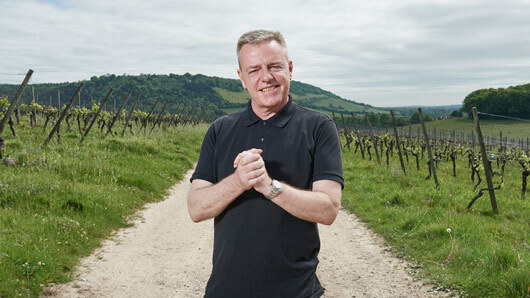 While Steven searches for the hidden treasures that demonstrate the bravery of those who fought against the Nazis, Suggs gets a taste of what it was really like to exist during the war, as he meets with survivors, experts and historians to understand exactly what happened at each of the locations. Together, the two hosts will be digging for artefacts, but more importantly, they will be digging for the truth. In tonight’s episode, the team search for the remains of a crashed German bomber as they retell the story of one of the most violent bombing campaigns of the war: The Liverpool Blitz. The real selling point of this series is the commendable way in which it exposes the lesser known, but equally important, events of WW2 history. We have all heard of the 1941 London Blitz, but the Treasure Hunters prove that our capital wasn’t the only city to suffer. The bombing over Liverpool was a significant event that caused mass destruction, leaving 4,000 people dead and 70,000 homeless, and this episode pays the city’s story the attention it deserves, picking it apart in meticulous and thorough detail. The genuine excitement amongst the team is clear as they begin to locate physical evidence of the German bomber within a marshland north of Merseyside; relics that have taken them many years to find. And as the bomber is unearthed, so is important information and understanding about the war. The dig is intercut with interesting historical footage and detail about The Liverpool Blitz, as well as meetings with various experts and survivors. It is always wonderful to see a historical TV show stress the important role that women played during the war; something that is so often overlooked in coverage of WW2 history. However, the experts on WW2 Treasure Hunters make sure to highlight female contribution. Taylor informs the viewer about the crucial work of the highly skilled ‘ATS Girls’, for example, who were essential in the operation of the Anti-Aircraft Battery. All in all, the series provides a broad and detailed look at events which have slipped under the history’s radar and, whether you’re a history buff or just someone that wants to find out more about the war, WW2 Treasure Hunters is definitely an insightful and worthwhile watch. WW2 Treasure Hunters airs Monday 9 October at 9pm on HISTORY (Sky | Virgin | BT | TalkTalk).